You run a healthcare business whether you like it or not. This must read book gives insight into how public and private employers around the country are reducing their healthcare spend by 20-40% while improving the quality of care. It’s built on real-life examples and successes of top performers, opening the door for any group to follow. Wincline has partnered with Health Rosetta to help push back against the greed and inefficiencies in healthcare. 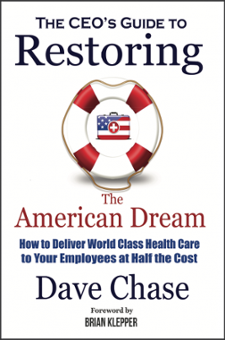 Get your complimentary digital copy of The CEO’s Guide to Restoring the American Dream by Dave Chase today!